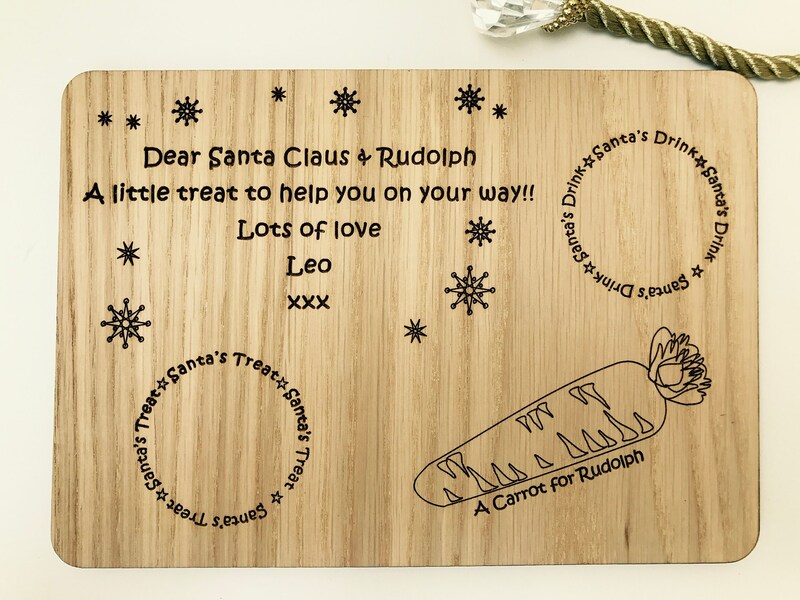 · Personalised Christmas Eve / Wooden Santa Treat Plate, Platter board. 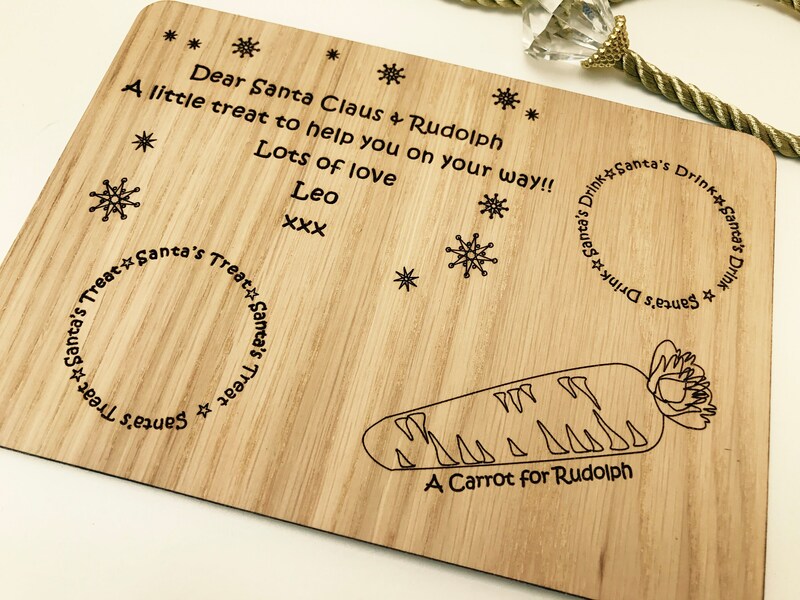 · Suitable for: gifts, Christmas, great idea for the children to prepare for Santa the night before Christmas. 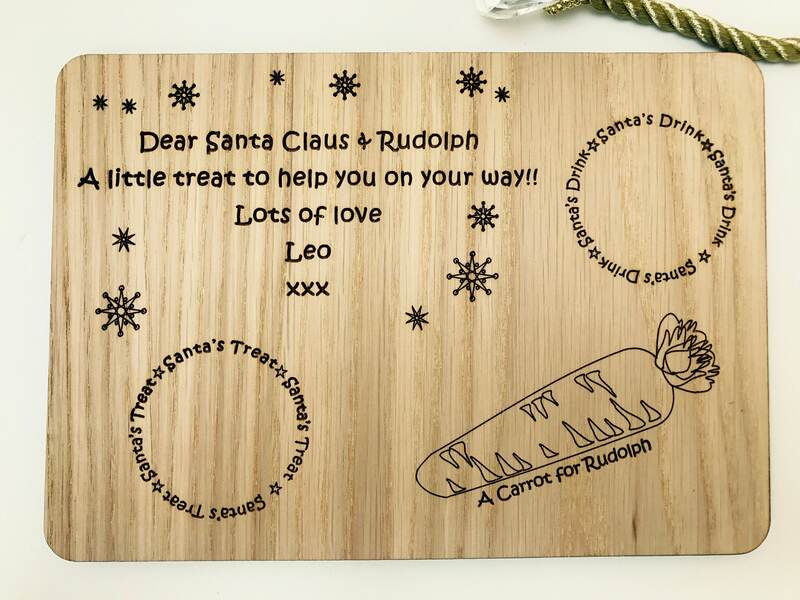 · Each piece is personalised with upto 4 individual christian names or a family name - max 24 characters. 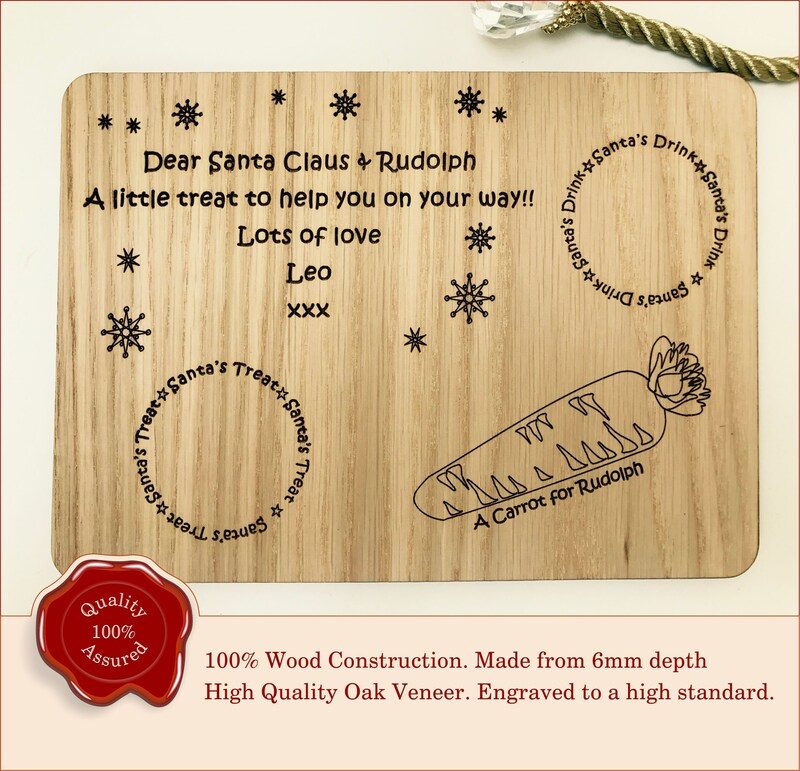 · 200mm width x 145mm - approx dimensions. ✦ Family Name OR First Names - Please Type Exact Text You Require To Be Added at the END of the text quote as per image, as we will copy and paste.